The theme of this slot is American Indian tribes and you better be aware of this before playing this slot as it is quite hard to figure out what the theme is by just looking at the slot. Fire Hawk has five reels, three rows, and standard symbols ranging from the nine to the Ace. The animations do fit the theme but they are neither pretty nor sharp. Clearly, Microgaming has not invested enough time and energy in the symbols on this slot. Additionally, the background music and sound effects also are of sub-par quality. Much more could have been done with the panflute that shows up now and again, but Microgaming, apparently, decided it was good enough already. There also is a wild symbol, which is the tribe leader. This tribal chief will only pop up on the second and fourth reels where it multiplies wins by, respectively, two and four. Fire Hawk is a slot by software developer Microgaming. The slot seems to have everything except for one thing: aesthetics. Namely, Fire Hawk does have a wild symbol, free spins, and even a gamble feature with which you can you can enlarge your wins by keeping on playing with them, however, it just doesn’t look good. It has too many standard symbols and the quality of the animations is poor. So poor, in fact, that you probably won’t want to play this a whole night long. Moreover, already after five minutes, you might want to find another slot. How to play Fire Hawk? The theme of this slot is American Indian tribes and you better be aware of this before playing this slot as it is quite hard to figure out what the theme is by just looking at the slot. Fire Hawk has five reels, three rows, and standard symbols ranging from the nine to the Ace. The animations do fit the theme but they are neither pretty nor sharp. Clearly, Microgaming has not invested enough time and energy in the symbols on this slot. Additionally, the background music and sound effects also are of sub-par quality. 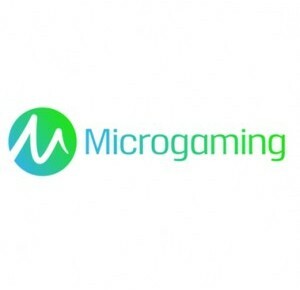 Much more could have been done with the panflute that shows up now and again, but Microgaming, apparently, decided it was good enough already. There also is a wild symbol, which is the tribe leader. This tribal chief will only pop up on the second and fourth reels where it multiplies wins by, respectively, two and four. Fire Hawk is equipped with free spins and that also is the only feature you will encounter on the reels themselves. Namely, other than this feature, there is no bonus game, random feature or something similar. In order to reach free spins, you first need at least three scatters. When this happens, you get to decide whether you want 10 free spins with a 4x multiplier, 15 free spins with a 3x multiplier or 20 free spins with a 2x multiplier. During free spins, you can win extra free spins, so knowing which mode is best isn’t straightforward. When you unlock extra free spins, you will be awarded the same number of free spins with the same multiplier as you had initially decided. Understandably, playing for free with multipliers means that free spins could prove to be rather lucrative! Fire Hawk has a total of 20 pay lines and you can determine how many of them you want active. You can configure the number of active pay lines at the bottom of the slot and alongside the playing grid. This slot also has an autoplay function, which allows you to escape the necessity of constantly clicking the spin button. Also, you can make use of the gamble feature on Fire Hawk. With the feature, you gain the chance of doubling your win while incurring the risk of losing it altogether.